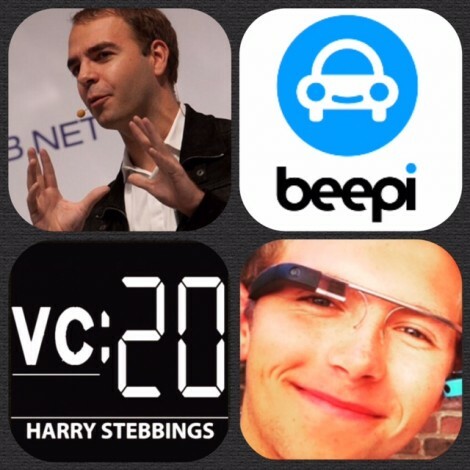 I had the pleasure of being interviewed by Harry Stebbings of The Twenty Minute VC. You can find the interviews on iTunes at http://bitly/thetwentyminutevc and on the Web at: http://www.thetwentyminutevc.com/fabricegrinda/. I also recreated it below for your reading pleasure. Fabrice Grinda is among the world’s leading Internet entrepreneurs and investors with over $300 million in exits and 200 angel investments including the likes of Alibaba, LendingClub and BrightRoll. Fabrice is currently investing in startups and building companies through FJ Labs, which he cofounded with business partner Jose Marin. Fabrice is also co-founder and executive chairman of Beepi, a next generation used car marketplace which recently raised $60 million in series B funding. Prior to FJ Labs and Beepi, Fabrice was co-founder and co-CEO of OLX, one of the largest websites in the world with over 200 million unique visitors per month. How did Fabrice make his entry into the world of investing? How important is it for investors to have entrepreneurial experience? What are the most common problems Fabrice’s portfolio companies face? What is Fabrice’s selection criteria for startups when investing and what determines the valuation of a startup? How does Fabrice respond to the allegation that he is a clone collector? With Fabrice’s $1m syndicate, does he believe syndicates have the potential to replace VC? As always you can follow Harry, The Twenty Minute VC and Fabrice on Twitter here! If you would like to see a more colourful side to Harry with many a mojito session, you can follow Harry on Instagram here!